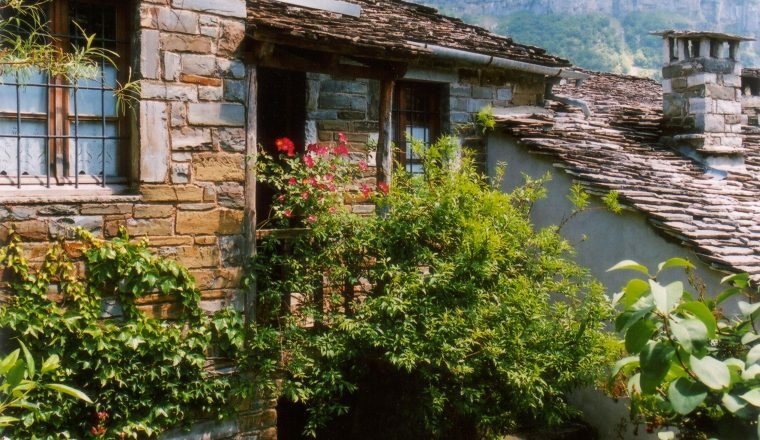 A single base holiday in a charming B & B in one of the most unspoilt regions of Greece, among the beautiful Pindus Mountains of Epirus, a historic area that was the site of Dodona, the most ancient of Greek oracles, second in fame only to Delphi. 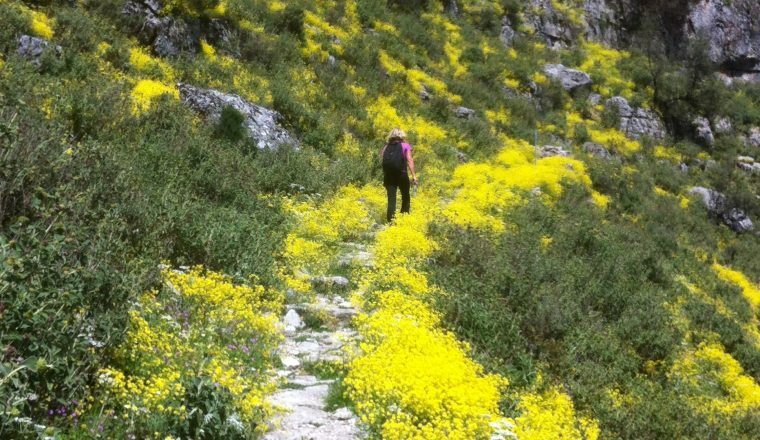 Walk a certified mountain guide who has hiking experience in various areas worldwide. 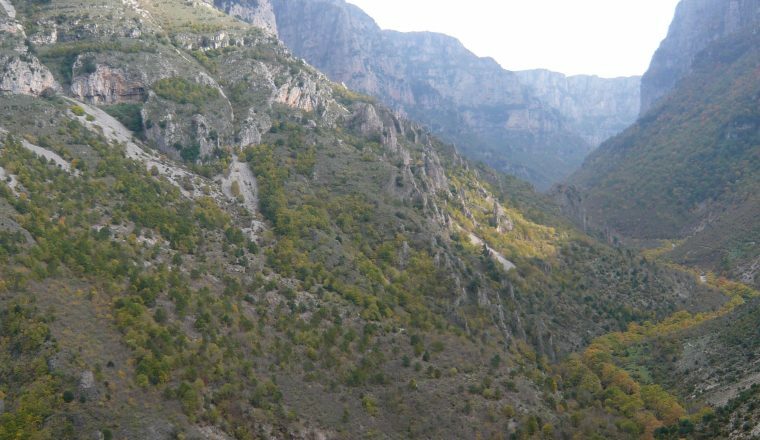 Pindus, although not well known, offers really unique trails which always exceed the expectations of the walker. 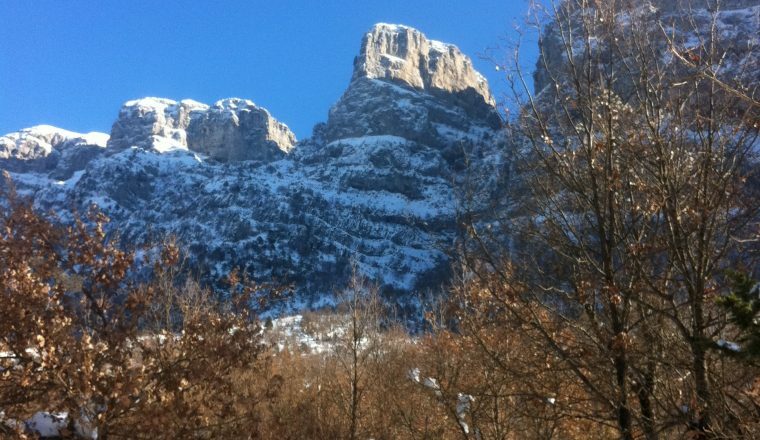 walk with a certified mountain guide. Welcome drink: Tsipouro (the local grappa) or local mountain tea. Settle in hotel, walk around the village and dinner. Breakfast: home made whole grain bread and marmalades from local figs, berries and prunes, wheat pie (local specialty), home made cakes and local cheese and ham, local yoghurt and good quality muesli, dried fruits. Freshly squeezed orange juice, coffee (espresso, cappuccino, filter coffee or ice coffee) and a selection of Twinings or Yoghi teas, local mountain tea. Everyday there is another local speciality offered alongside the bread: marmalades, cheeses, ham, cakes, yoghurt etc. 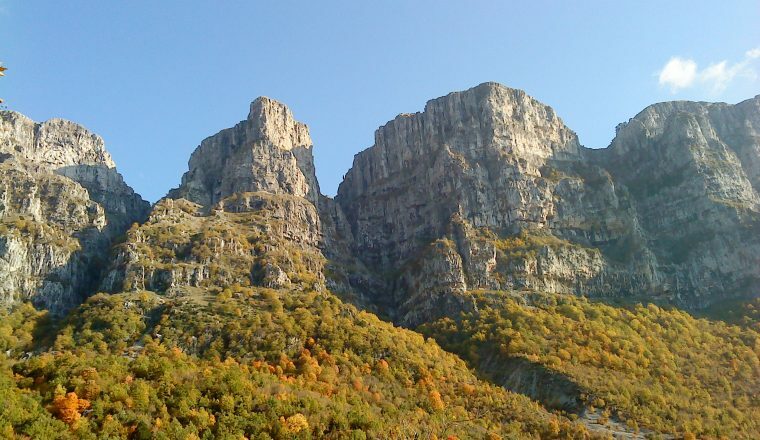 Trek to Astraka Refuge. Stop in the refuge for a break or a drink. 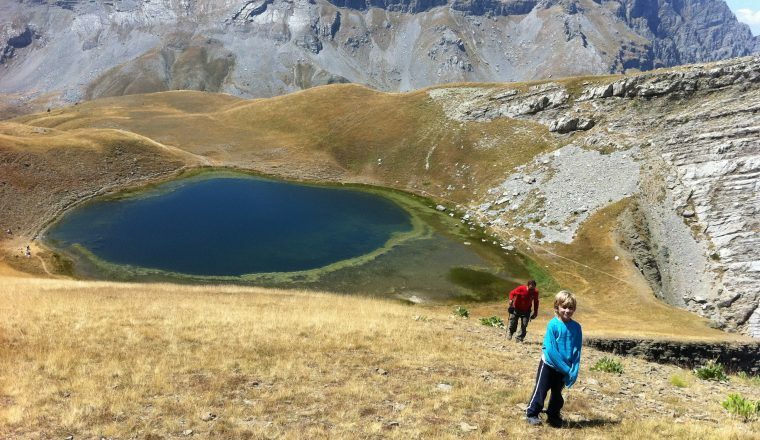 Continue to Drakolimni (Dragon Lake is at an altitude of 2050m above sea level, the remains of ancient glaciers, and is inhabited by a species of alpine newt whose resemblance to small dragons gives the lake its name). Swimming (optional) and picnic by the lake: e.g. homemade meat balls, feta cheese and tomato sandwiches, avocado and cucumber sandwiches, olives. Return to Papigo for relaxation and dinner. Walking time including lunch and swim in Dragon Lake if summer: 9 hours. Altitude difference: From about 1000m to about 2200m and back down. Trek to Mikro Papigo through a part of path #24. 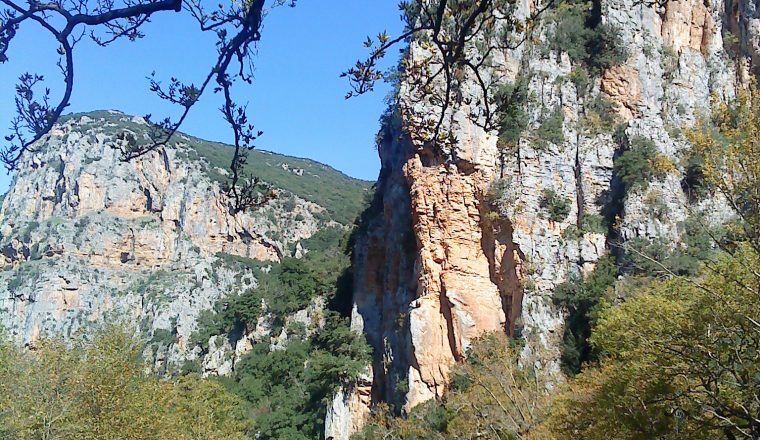 Visit Bistries (ancient caves) and picnic in Mikro Papigo. 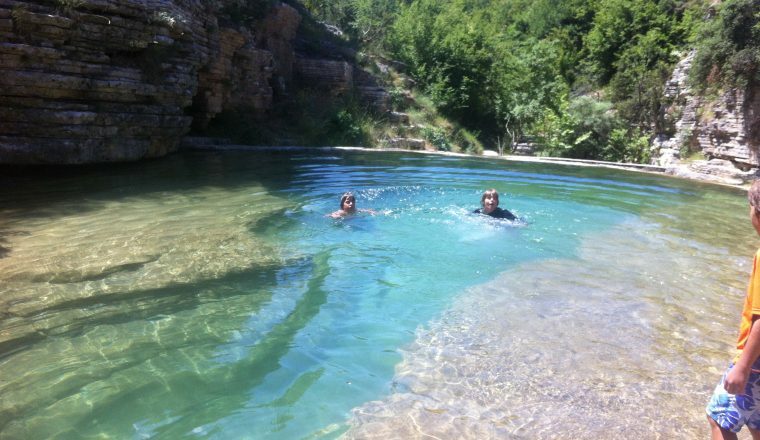 Visit Rogovo Gorge for some gentle canyoning (if required) and a swim if summer and return to hotel. Walking time: 4 hours including picnic. Breakfast. Transfer by mini bus to Monodendri Village (45minutes). 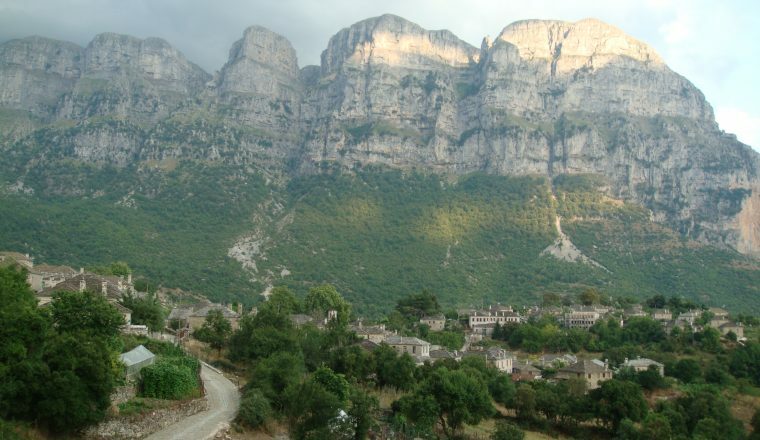 Visit Agia Paraskevi monastery (built in 1413 at the edge of Vikos Gorge). 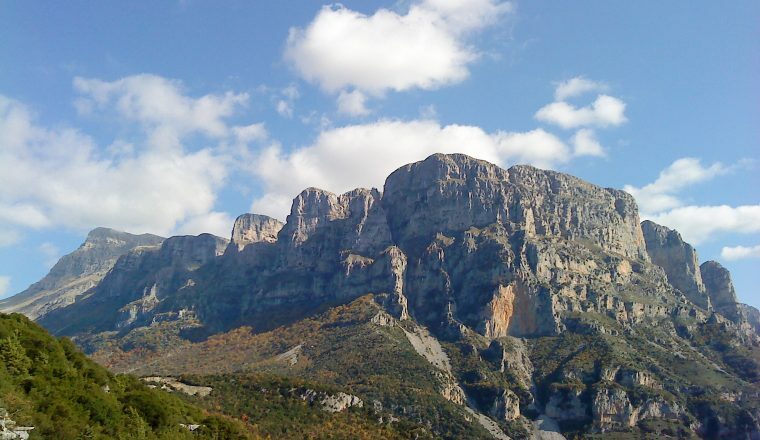 Trek through Vikos Gorge (Guiness Record 1989 as the deepest gorge in relation to its width, with geological and botanical interest) to the sources of the River Voidomatis (15km river, known as the cleanest and coolest river in Europe) and to Panagia Monastery (built in 1738) for picnic. Hike up to Papigo village. Arrival in hotel for dinner. Walking time: 8 hours including visit to monastery. Altitude difference: from about 1050 to 550 and up to 950. Transfer to Aristi bridge by mini bus (10 minutes). 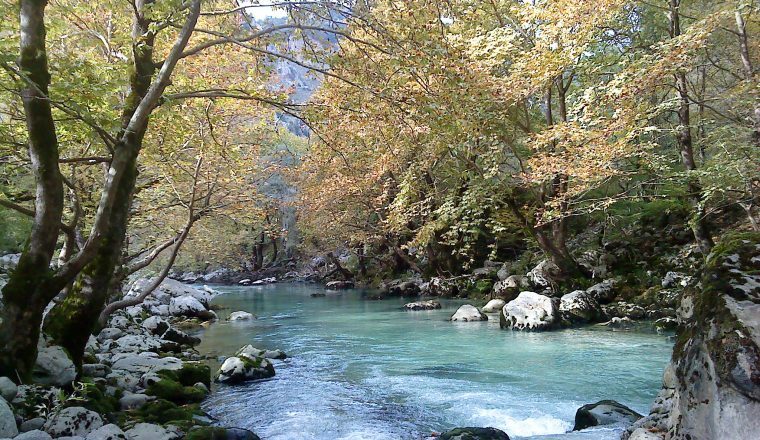 Rafting down Voidomatis river from Aristi Bridge to Klidonia Bridge. Picnic by the river. 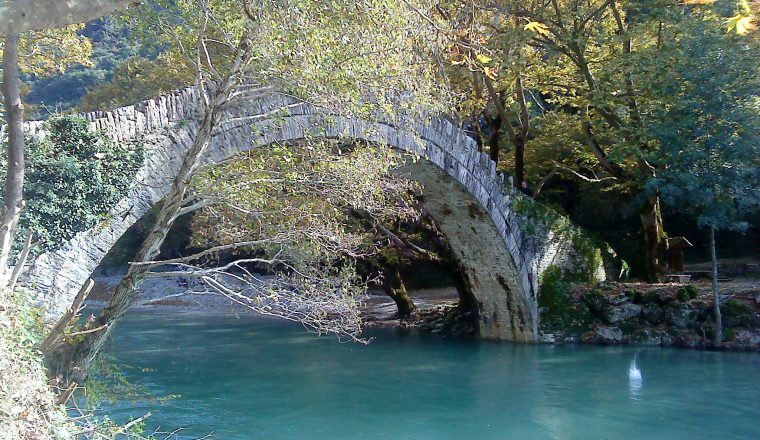 Return on foot back to Aristi Bridge and transport with mini bus to Papigo. Rafting: 1.5 hours, walking: 2 hours. Other option: instead of rafting down the river , walk river path. Walking time including monastery visit: 8 hours, three uphill and 6 downhill. 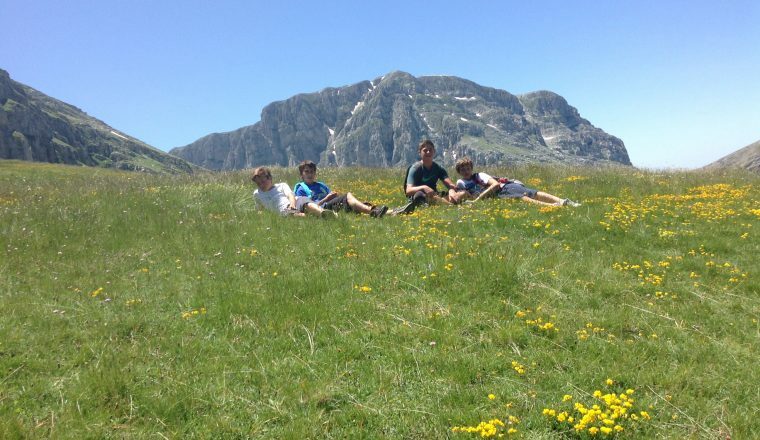 Altitude difference: from about 1000m up to about 2000m and then down to about 650m. 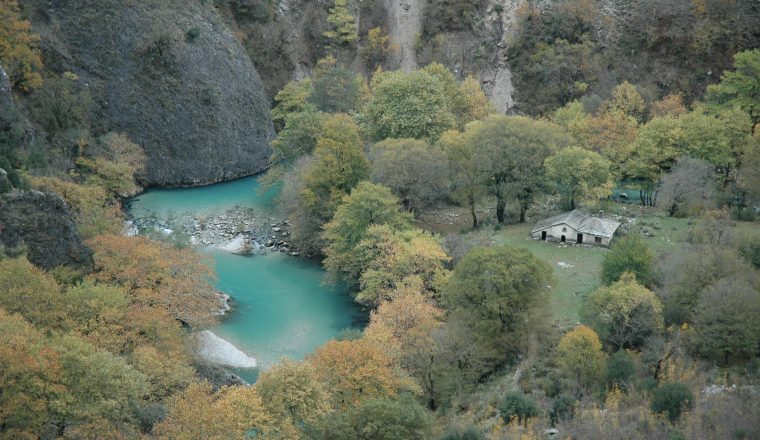 Trekking to Ano Klidonia village (deserted in 1940 with only one resident). Lunch in the only taverna of the village. Return along the same path to Papigo for BBQ farewell dinner. Walking time, including lunch 6 hours. Breakfast and transfer to airport or bus station. 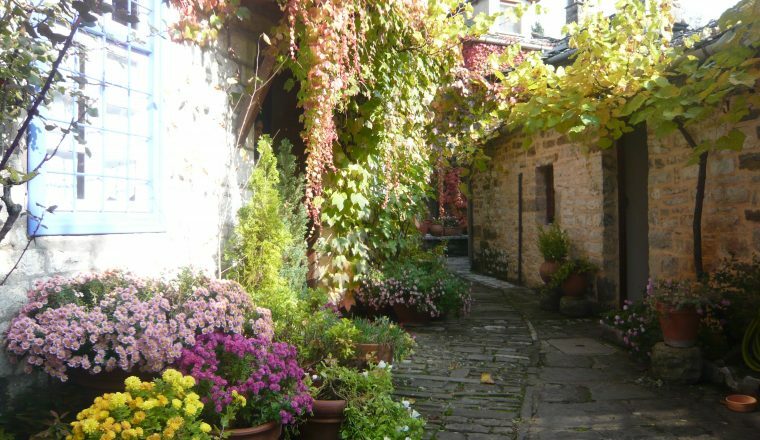 Saxonis Houses in Papigo is a charming bed and breakfast that consists of three restored 19th century houses. The decor is in a tasteful and unpretentious style, opting for aesthetics based on local tradition – those of simplicity. The focus is less on luxury, but with an emphasis on comfort and ‘warm hospitality’, as well as on getting the guests to enjoy the amazing nature. After a few hours of activity, you will enjoy sitting by the fire in the small sitting room (stocked with games and magazines) or resting in the idyllic terraced garden. Food: Breakfasts consist of home made whole grain bread and marmalades from local figs, berries and prunes, wheat pie (local specialty), home made cakes and local cheese and ham, local yoghurt and good quality muesli, dried fruits. Freshly squeezed orange juice, coffee (espresso, cappuccino, filter coffee or ice coffee) and a selection of Twinings or Yoghi teas, local mountain tea. Everyday there is another local speciality offered alongside the bread: marmalades, cheeses, ham, cakes, yoghurt etc. You are provided with snacks when you walk and some picnics and dinner is home cooking at its best. Vasilis Nasiakos. Certified Mountain Guide. After studying Forrestry Management and Outdoor Recreation, Vasilis’ is a certified mountain guide who has worked in many parts of the world. 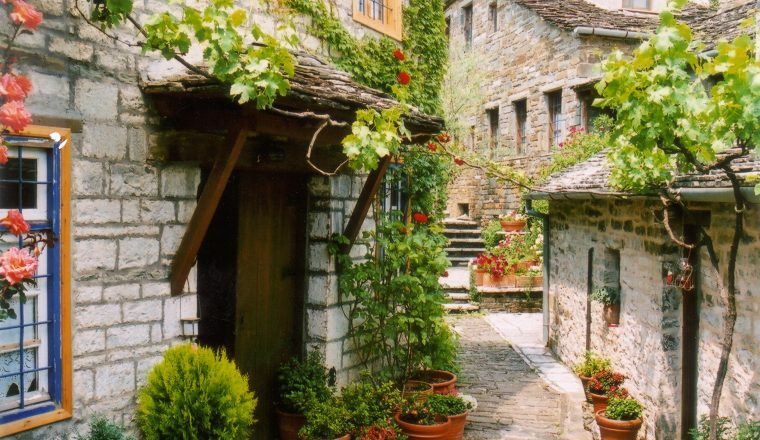 The nearest airport is Ioannina – check internal flights from Athens. Athens is 500km distance – we can provide a transfer is you wish – please ask for the cost.